Tibetan Thangka painting is first and foremost a kind of religious painting which is also known as Pauba painting in Newari. Thangkas are the Tibetan version of ancient Buddhist scroll paintings practices since Buddha’s era in Nepal. The word Thangka itself means that which can be rolled up so that it could be easily carried by the monks and used as a teaching tool. Thangka paintings are unique Himalayan art that attained traditional knowledge in the Tibetan tradition between the 7th and 12th centuries. A Thangka is more than a piece of artwork. It is two-dimensional representation of spiritual world. It is an object of devotion, an aid to spiritual practice and also a source of blessings to those who meditate upon it. Basically it is a visual tool to help in your meditation spiritual practice to attain higher level of enlightenment. 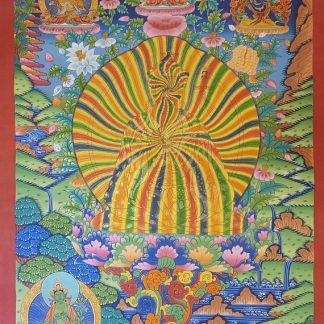 Thangka paintings carry incredible power and blessings that can bring positive energy in your life and environment surrounding you. The bright colors and forms awaken the mind and boost awareness. It is also believed that even looking at a Thangka is itself a good deed. The reason for people acquiring Thangka is also the general belief that it brings good health, prosperity, long life, and good luck. The Thangka paintings are found in shrine rooms and temples as a focus for devotional practice. Tibetan Thangka painting is beyond oil painting or acrylic painting. They are usually painted on linen or coarse wool cloth and sometimes even on silk on special occasions. They can and are mounted in silk brocade. The base of the painting is prepared using a paste of Yak skin glue and fine lime. After the paste dries, carbon and paints using natural mineral and plant colors, such as yellow, mineral green, azurite and cinnabar, are applied. All the colors are mixed with animal glue and ox bile to keep them bright. Strict iconography rules are followed while making of Thangka taking from canvas preparation, drawing of the subject to mixing and applying colors, decorating with gold, and mounting the completed work in brocade. Every step involves skill and care displaying meticulous detail and exquisite craftsmanship. Most, Thangkas last for very long time even ages; however they have to be kept in dry place where moisture wont affect its quality. The subjects of Thangka painting are religious, however sometime folklore themes also intrude. Mostly philosophical and religious elements such as images of Bodhisattva, different kinds of Buddha Rupas, wheel of life, map of universe, life cycle of Buddha, etc. are the common themes of Tibetan Thangka. Paintings can possess an awesome beauty that are calming and soothing to your mind. On the other hand they can also possess vivid and frightening images and symbols like that of wrathful deities. How a Thangka is valued is always affected by its art style, genre and the complexity of the painting, material texture and quality. Nonetheless, the value of Thangka also depends upon the skill of an artist. It takes about 7 to 8 months to complete a Thangka of one square meter depending on a daily of 6 to 8 working hours. 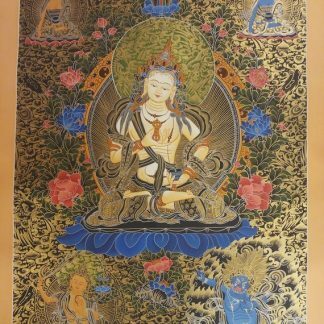 A high quality Thangka of significant size will correspond higher value and price. 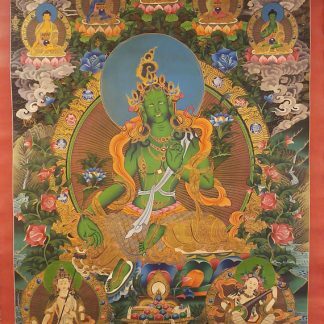 Visit our Dharma Store for beautiful high quality Buddhist Thangka Painting. Tibetan Thangka is originated from Nepal’s Kathmandu valley where Newari Vajrayana Buddhist culture is practiced. Newari paubha art may be the foundation of today’s Tibetan Thangka. 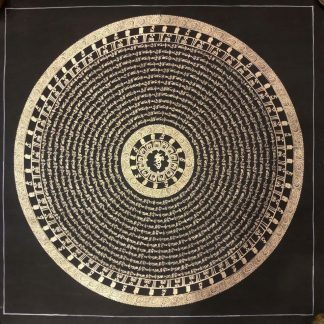 Various metaphysical and spiritual elements for example pictures of Boddhisattvas, pictures of Buddha, wheel of lifes, map of world, existence cycle of Buddha, etc would be the common kinds of Tibetan Thangka. Thangka works of art may also be referred to as Pauba and Mandala works of art in Nepal. Buddhist Thangka may be the Tibetan kind of ancient Buddhist scroll works of art practiced since Buddha’s era in Nepal and India. Tibetan Thangkas originated from Nepal’s Kathmandu valley where Newari Vajrayana Buddhist culture is practiced. Newari paubha art may be the foundation today’s Tibetan Thangkas. 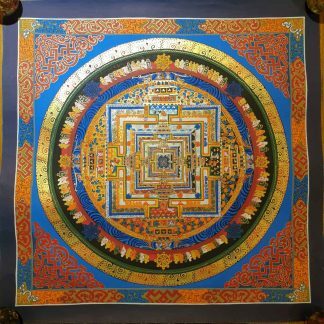 Various metaphysical and spiritual elements for example pictures of Bodhisattvas, pictures of Buddha, wheel of lifes, map of world, existence cycle of Buddha, etc would be the common kinds of Tibetan Thangka. 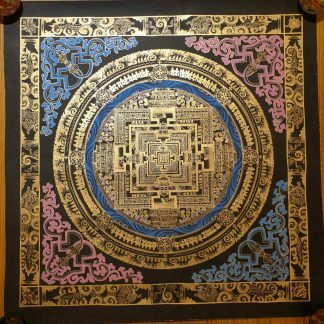 These ancient traditional thangka arts are produced to assist meditation, show direction for that seekers of enlightenment/nirvana, and gratifaction sacred ritual tools during religious occasions. 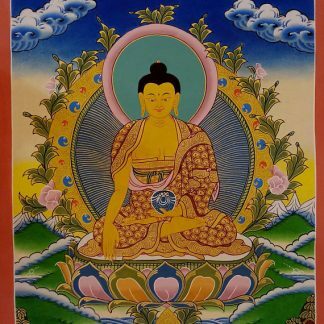 Contemporary Buddhist Thangka painting are more and more more seen by westerners as fine exemplary of oriental art perfect for wall decoration. Yet, there are lots of western art collectors who buy Tibetan Thangkas for spiritual significance. 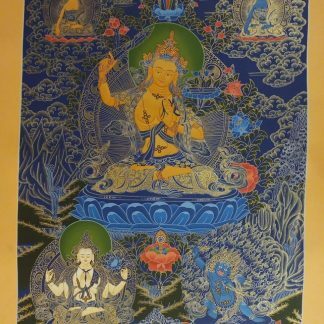 For individuals conscious in the deep meaning portrayed of these artworks, Thangka painitings are not only found an attractive artwork, but an epitome of universal truth. Art enthusiasts of all the corners within the globe have started to respect and recognize Tibetan Thangkas as works of divine beauty and understanding, unparalleled on the planet. Tibetan Thangkas are available in lots of forms like paper scroll, cloth painting, embroidered, etc. 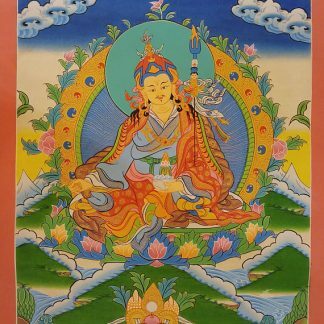 The theme within the Tibetan Thangkas also differ based on it’s purpose. The symbols, gestures, colours, images, sizes and shapes -several of these factors denote underlying meanings. Tibetan Thangkas are believed by art specialists as true demonstration of the amount between beauty and truth. Early beginnings of Thangka art. Thangka art started in ancient India where these sacred Buddhist Thangka works of art maintained as ‘Patrabhattrak’ or just ‘Pata’ meaning portrayal of divine figures round the flat work surface. It had been within the fifth century B.C when ale Buddhist Thangka (also called Paubha in Newari and Pata in Sanskrit) emerged in India. Based on Buddhist mythology, Buddhist Thangkas were the first portrayal of Gautam Buddha. It’s attested by scholars of Buddhism the enlightened one permitted a famous painter known as Sharipura of North India to produce his image. Sharipura was not able to find out Lord Buddha together with his naked eyes because of the effective sun sun sun rays radiating from Buddha’s body. Then, Gautam Buddha advised Sharipura to consider the shadows reflected round the sheet of cotton cloth. The painter then colored the first picture of Buddha with this particular sheet based on Buddha’s suggestion. In this manner, ale Buddhist Thangka was initiated. 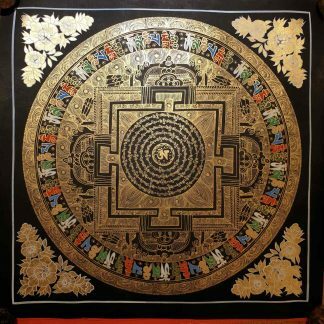 Other representations of Buddhism for example wheel of existence, mandala, cycle of reincarnation, sacred symbols, signs and gesture were also built-into Thangka art tradition. With time that adopted Muslim invaders completely destroyed Buddhist culture and art in India. Later on Indian Buddhist clergymen travelled to Nepal where they trained Newars of Kathmandu concerning this art. During Licchavi period 15 centuries ago, ale Thangka painting making demonstrated up at it’s zenith in Nepal. Many exquisite antique Thangka works of art from the period still stay in private and museum collection. Late king Tribhuvan’s magnificent existence sized Tibetan Thangkas dating from Licchavi era is displayed inside the National Museum at Chhauni, Kathmandu. When Licchavi princess Vrikuti volunteered could be the queen of Tibetan king Srong Btsan Sgam Po, she introduced Nepali art and Buddhist religion to Tibet. Then within the thirteenth century, the legendary Nepali artisan Arniko visited Tibet, getting with him ale Tibetan Thangka painting. Thus, Tibetan Thangka and Tibetan Buddhism obtain origin in Kathmandu valley of Nepal. Check out various Tibetan and Newari thangkas here.